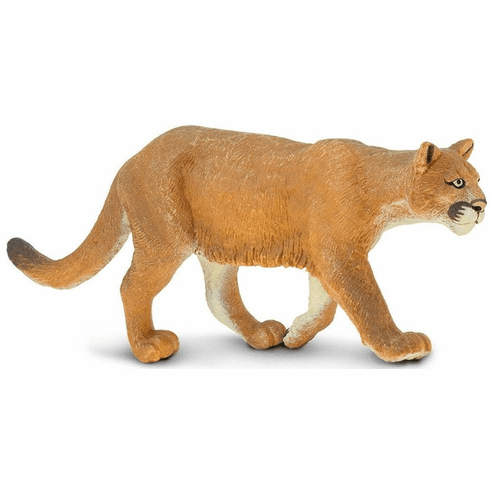 Also known as the cougar, puma, and catamount, the mountain lion is a type of large cat found all throughout South America, Central America, and North America. Interestingly, the mountain lion is more closely related to the domestic cat than it is any large cat found in Africa or Asia. Approximate size in inches: 5.51 L x 1.22 W x 2.36 H.